Cyprus is a mesmerising country, known for its many eye-pleasing destinations like Paphos, Pissouri, Argaka, Tala and many others. 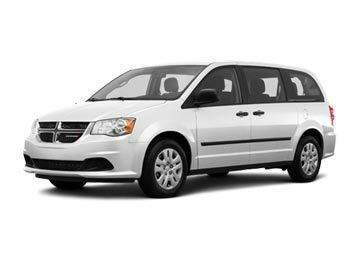 Make the trip a comfortable one with a car rental at your disposal. We, at Global Car Rental, work in association with numerous top-notch car rental brands both of global and local origins, with an aim to bring the best car hire services in Cyprus at a single platform. In addition to a gigantic fleet of cars by our suppliers, we also offer rental cars with services such as booking support and free cancellation for requests made 48 hours before the time of pickup. Our suppliers are also known to offer value-added services such as collision damage waiver, theft waiver, unlimited mileage, roadside assistance and several others, for which the traveler doesn’t have to pay anything other than the offered deal’s price. Hiring a car in Cyprus was never this easy, moreover, being in association with the best brands, allows us to provide rental hires at varied prices from luxurious one to the cheapest-possible ones. Our 3 step booking process allows one to book the best-suited rental car in just a few minutes. Through this system of ours, travelers need to first choose their location, followed by their desired car and finally it comes to making a reservation where one pays a partial amount for sealing the deal. Cyprus offers a lot on its platter as one visits and the list covers all from tourist attractions to cuisines to nightlife highlights. Beaches, Golfing venues, ancient heritage sites or museums or art scene, Cyprus has a plethora of things to offer; same variety can be seen when it comes to accommodation and food options, especially when Cyprus cuisines are by far the best. In the lap of Troodos Massif, lies a group of villages which still have the traditional houses made up of stones with cobblestone alleys which lead to most spectacular churches found in the whole of Cyprus. The importance of the churches can be deduced from the fact that nine of these have been listed in UNESCO’s list of World Heritage sites. Seated on a coastal cliff, this is one of the most loved ancient sites in Cyprus; though it has numerous areas, theater area, House of Eustolios and Byzantine basilica, are certainly the major highlights. 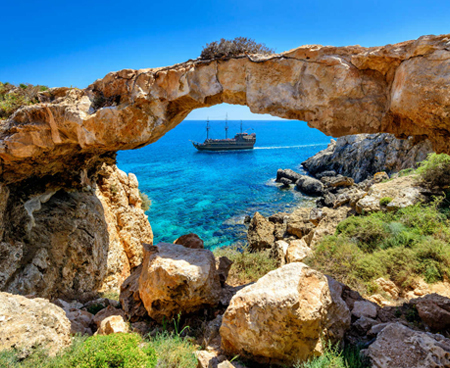 Also known as the most beautiful region in Cyprus, Karpas Peninsula is dotted with quaint villages, a profusion of hidden gems of historical importance plus least trodden areas makes it a ‘must-not-miss’ attraction. These villages include names like Sipahi village which is known for Agia Triada’s mosaics and another major name is Dipkarpaz village which is a noted for the ruins of Agios Filon church. This archeological site gives a deep insight into the history of Cyprus through its numerous marble ruins from a different era of history. Ruins of Gymnasium, ruins of Byzantine churches and a reservoir area are some of its major highlights. This cute little castle is known for its perfectly formed structure and is eminent for it puts light on Cyprus’s importance during Holy Land Crusades. History states that it was first held by Knights of St. Johns, for which the castle with its apt location was used for commandery. Hence, plan your trip to Cyprus with a car rental in mind, book in advance with us to avail the best discounts and enjoy your journey at a leisurely pace. What is covered under Roadside Assistance Inclusion? In case one’s car malfunctions or breaks down during the travel, if included with the deal, one can certainly opt for Roadside assistance; it covers various cases like replacement of lost keys, help in case of flat tire and even fuel delivery etc. What are the Authorized Driving Areas? It solely depends upon the country and the suppliers, for instance Alamo, though allows renters to take the renter car anywhere in USA and Canada, but taking it to Mexico is not allowed; hence do have a word with our booking support for more information. What if I need to extend my rental car’s duration? One can certainly get one’s rental car extended; however, in this special case where you want your hired car for a longer period of time, one needs to pay the additional charges and that too as per local rates, it is not always feasible that the same renting charges that were offered originally will prevail. Can I upgrade my booked rental car? Yes one can get his/her rental car upgraded by paying extra per day charges; however in some cases it may be rendered free of cost. For instance, if the requested car category is not available at the time of pickup, suppliers like Alamo automatically gives upgraded category and that too free of charge. What Payment methods are accepted while making a payment? All major debit and credit cards are accepted by our suppliers; however note that Visa Electron debit card is not accepted by various suppliers like SIXT etc.